Instructor User Guide LessonsHow do I add tests and quizzes to a Lessons page? Instructors may add links to site activities (i.e. Assignments, Forums, Test & Quizzes) on Lessons pages. Note: These links will automatically update to maintain links to published activities if you copy your course content to a new site, as long as you do not change the name of the activity. However, you will need to publish your activities in the new site for the links to become active. Click on the Lessons Page Title (e.g. Unit 5) in the Tool Menu to display the page. Click Add Content, then Link to test or quiz. Zoom: Click Add Content, then Link to test or quiz. 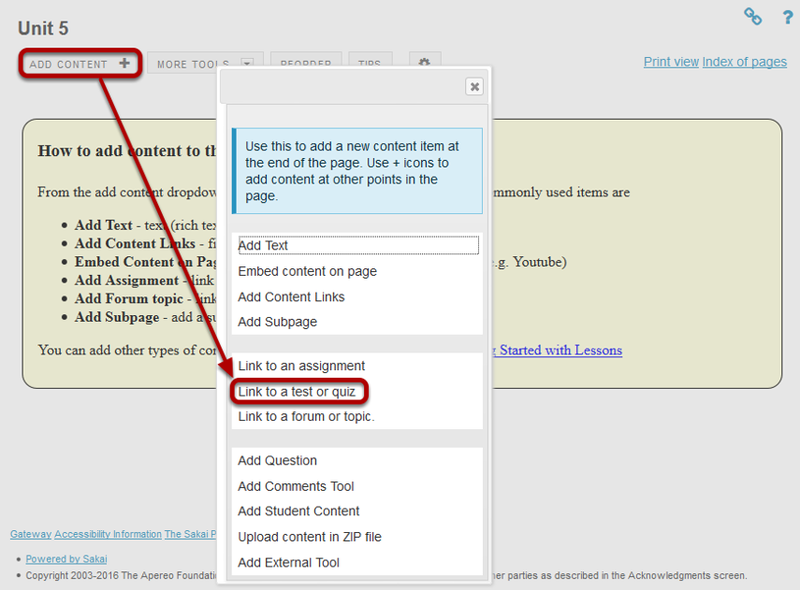 From the Add Content drop-down menu, select Link to a test or quiz. 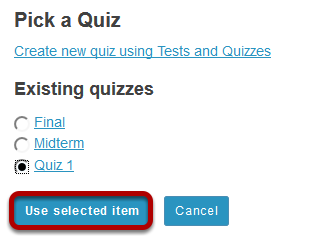 Select the assessment from the list of existing quizzes. 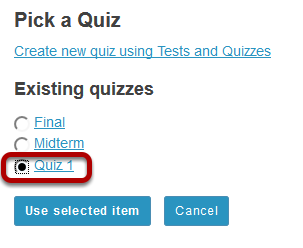 Note: Only PUBLISHED assessments will display in the existing quizzes list. You can also select the Create new quiz using Tests and Quizzes link to create or publish an assessment in the Test & Quizzes tool. See How do I create an assessment? or How do I publish an assessment? for more on information creating and publishing. 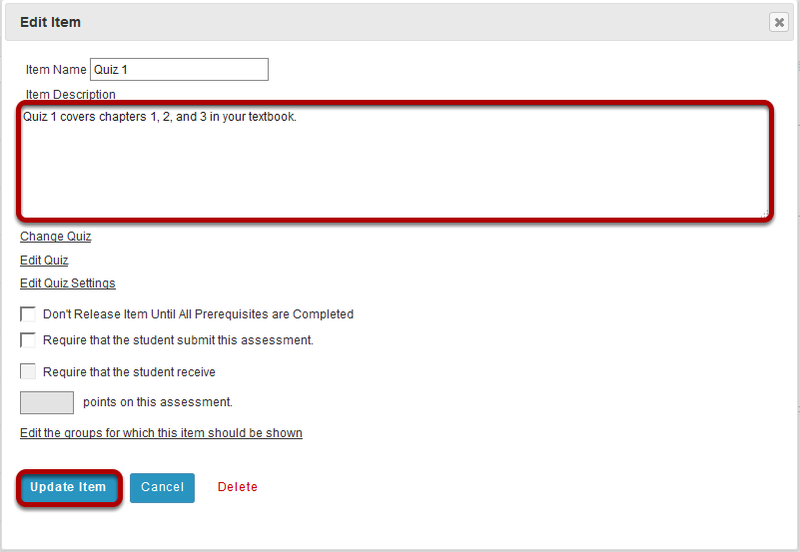 Add a description for the assessment, then click Update Item. Updating returns the display to the Lessons page with a link to the assessment and a description. Prev: How do I add forum topics to a Lessons page? Next: How do I add an in-line question to a Lessons page?